Duke-NUS Medical School develops ‘clinicians plus’, medical professionals whose holistic knowledge better poise them to leave a greater impact on healthcare. Duke-NUS Medical School aims to nurture high-performing clinicians with the potential to become leaders, educators, scholars, and scientists. The school offers four diverse pathways, empowering future clinicians to develop useful academic expertise in other fields to complement their medical degree. 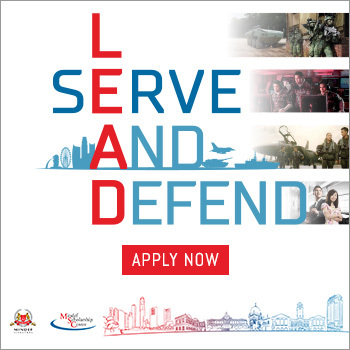 The four pathways offered are the NUS Engineering and Medicine Track, Duke and Duke-NUS Special Pathway, SUTD-Duke-NUS Special Track, and Yale-NUS Liberal Arts and Medicine Pathway. By enrolling into the respective tracks, students may pursue an undergraduate degree in engineering from NUS, an overseas degree in science or arts from Duke University, a degree in engineering or science from the Singapore University of Technology and Design (SUTD), or an honours degree in science or arts from Yale-NUS College. Students from all four pathways can then adapt their undergraduate endeavours into being more innovative and knowledgeable clinicians as they undertake their medical degrees from Duke-NUS Medical School. As Singapore’s only graduate-entry medical school, Duke-NUS Medical School prides itself in being innovative in education. For their first years with the school, students are encouraged to immerse themselves meaningfully into the undergraduate disciplines of their choosing while growing their medical knowledge through talks and workshops facilitated by Duke-NUS Medical School. 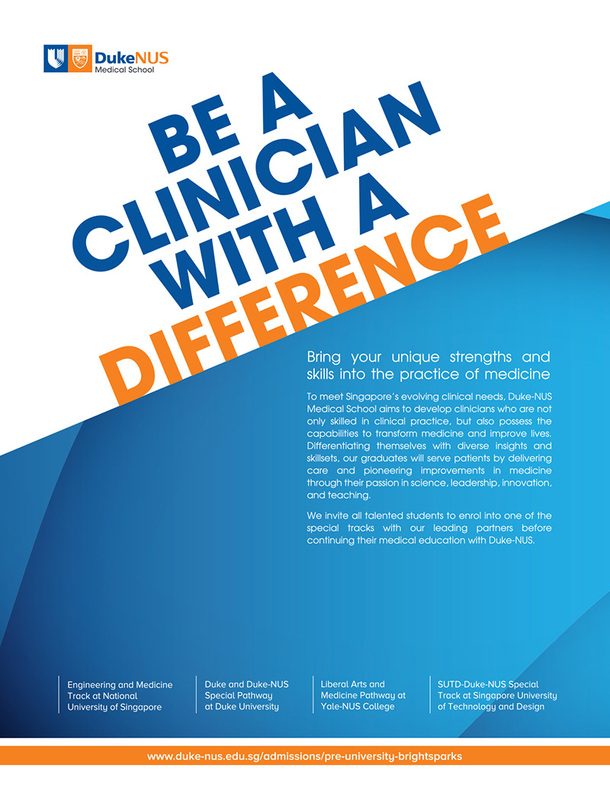 This emphasis on flexibility and variety allows students to develop into clinicians or medical professionals with a difference upon graduation. 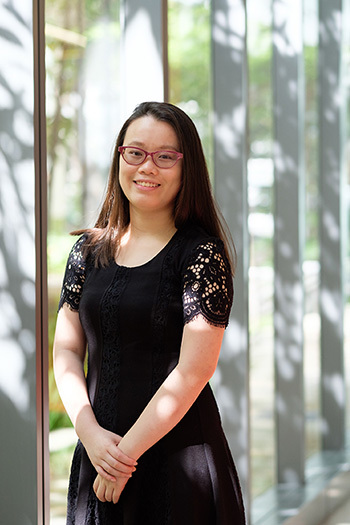 20-year-old Teo Kaye Min is part of the pioneer batch of undergraduates in the new NUS Engineering and Medicine Track. She finds herself enriched by the interdisciplinary approach of her Duke-NUS Medical School pathway. 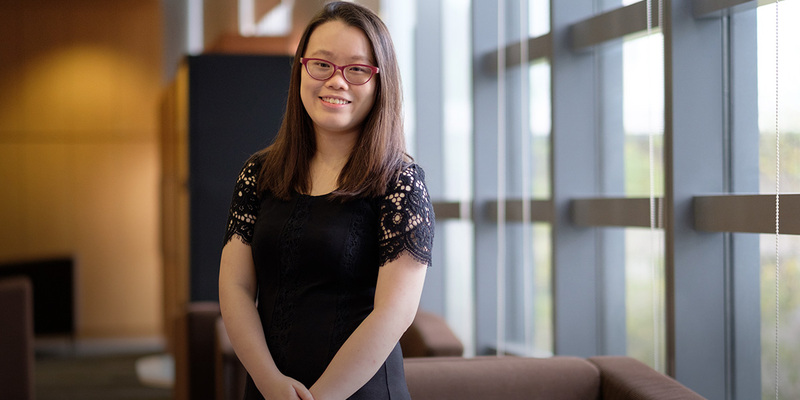 In addition to an undergraduate education in engineering, Kaye Min will also have the opportunity to attend the Innovation and Design Programme (IDP) as part of her training. This programme interweaves the disciplines of medicine, engineering and innovation, allowing Kaye Min to collaborate with medical professionals and engineering faculty to conceptualise, design, test, and develop healthcare technologies. Anthony Li, a third year Doctor of Medicine (MD) candidate at Duke-NUS Medical School, found his calling in an unusual way. Undecided about a career in medicine, he initially proceeded with undergraduate studies in engineering. It was exposure to the medical field during his undergraduate stint that led him to discover his dream of being a clinician with a difference. He recalls, “I was fortunate to work with scientists and clinicians on a number of medical technology-related projects. 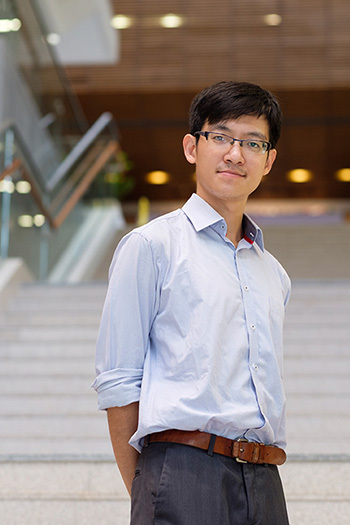 This sustained exposure to medicine and medical technologies got me thinking about the possibility of pursuing a career as a clinician innovator.” Duke-NUS Medical School’s unique schemes allowed Anthony to enroll in pursuit of his passion for medicine. “I decided the time was ripe for to make the leap and I applied to Duke-NUS Medical School,” he recounts. Anthony’s NUS degree in Electrical Engineering, along with a knack for technology, makes him a natural innovator. He has even developed an app that helped his peers during their rotational clerkships. He explains, “I got the idea of developing an app because I wanted to provide my peers in medical school with an effective and efficient means to do their reflections in the clinical environment. The end result was a mobile-friendly web application.” Nonetheless, Anthony recognises that his expertise in engineering and technology are merely useful tools in his ongoing development into an exceptional clinician. “While my engineering background enables me to add value through device development and software engineering, I see myself as a clinician first, and an engineer second. A doctor’s priority should be to ensure that his patients get the best possible care, and innovation is one of the ways to achieve this,” he describes his outlook. In view of A Levels students who may have the academic interest of pursuing other disciplines, four new admission schemes to the Duke-NUS MD programme have been developed to allow them to do so. They are the Engineering and Medicine Track, the Duke and Duke-NUS Special Pathway, SUTD-Duke-NUS Special Track, and the Liberal Arts and Medicine Pathway. These four pathways are ideal for students with aptitudes or curiosity for fields outside of medicine, but having the opportunity to still be engaged with the ‘medical landscape’ at Duke-NUS. The diversity and versatility of these pathways will empower and equip students to adapt different disciplines towards improving the healthcare sector by gaining new perspectives and skills as medical professionals - essentially ‘clinicians plus’ - graduates who are competent in clinical practice, and possess the capabilities in science, innovation, leadership, and education.